An increasing proportion of marketing budgets is being set aside for digital and social media work. In the first of a series of special features, PRWeek asks what the PR industry needs to do to 'own' these budgets. Imagine you are in a restaurant and a diner on the other side of the room stands up and begins shouting and waving at you. Your most likely reaction is to ignore them. Now imagine a fellow diner stands up, walks across to your table, sits down and asks for a quick word. In all probability, you are more likely to listen. This analogy illustrates why social media have become such a vital part of the marketing mix. Traditional PR and above-the-line advertising is the equivalent of the shouting, waving diner. The message is beamed out via TV, radio or print, and there is no compulsion for the consumer to listen - furthermore, they cannot talk back. Genuinely engaging a consumer and starting a conversation with them via social media is hugely powerful. It is for this reason that, according to the latest IPA Bellwether Report, internet budgets were revised upwards by nearly three per cent year-on-year in Q4 2010. But which marketing discipline has the best claim to this spend? 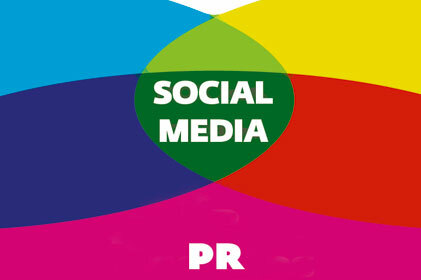 The PR industry argues it is best-placed to take ownership of social media. It has a strong claim. PR professionals are well versed in communication, engagement and conversation, the very attributes required for a successful social media strategy. The advertising industry, powered by creativity, can also lay claim to these budgets. Because without the content to inspire conversations, who is going to sit up and listen? And the new breed of digital agencies command crucial technical expertise and an in-depth knowledge of the sector. So who is staking the claim? The fluidity that digital media enables means that in the same afternoon a single person can be a reviewer, a lobbyist, a customer, a voter, an activist, a fan, a viewer or reader and a shareholder. The ability to communicate with someone who is all of those things across a whole range of digital media environments in the space of an afternoon is not one that is held by a discipline or an agency; it's a mindset of fluidity. With that mindset in place the businesses that are best able to communicate are still those that are able to execute well; although 'well' might variously mean quickly, elegantly, humorously, sensitively, creatively or responsibly. So if the question is 'which agencies are winning the digital race?' then the answer is 'good ones'. And they might not even look like agencies: Vice Magazine, Forrester Research and McKinsey & Co all have offers that could be seen to be concomitant with that mindset. The way consumers communicate has changed and the best clients are quickly responding to that. To question who is winning the digital race feels a bit like rearranging deckchairs on the Titanic. They are the ones who have abandoned the ship and jumped on to a passing rescue Chinook. In this scenario, the one who wins is the one with the winch.